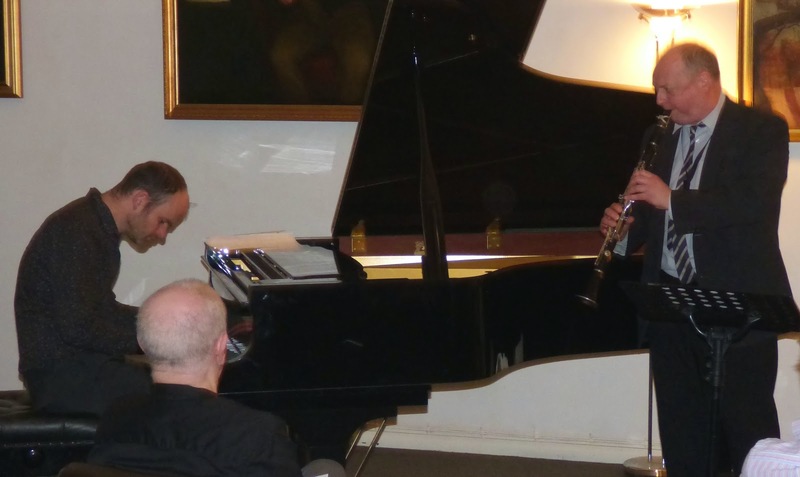 Alan Barnes (alto/clarinet); Paul Edis (piano). 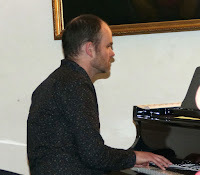 What better way is there to while away an hour than by listening to Alan Barnes and Paul Edis in the intimate surroundings of Newcastle's Literary and Philosophical Society? 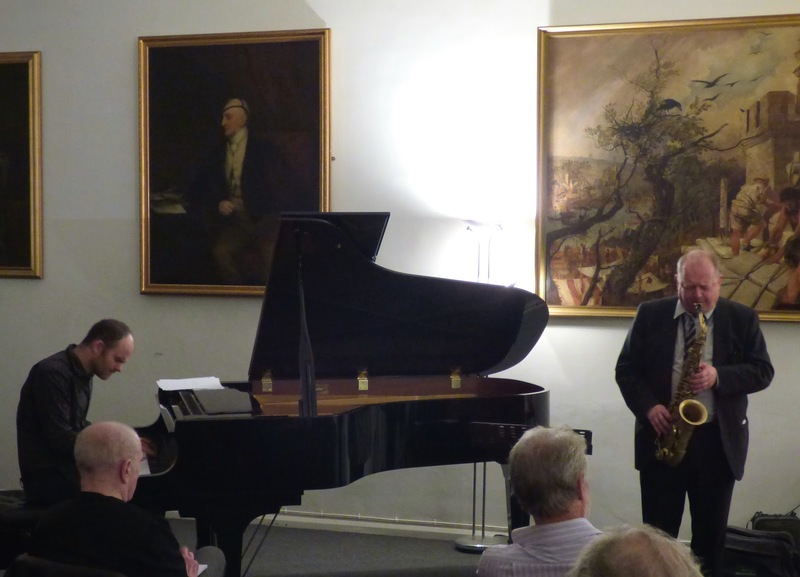 The monthly miniature jazz concerts held in the venerable building are well-supported and justifiably so. In Paul Edis and Alan Barnes, you have the perfectly matched pair with each one seemingly reading the other's mind. Opening up with Joyspring, the ideas just flowed from Barnes' innermost soul to emerge from the bell of his trusty Mark Vl alto. Not to be outdone, Edis too dealt himself a few aces before rounding off the number with the obligatory fours. Normally, fours leave me cold but, when done without a drummer nailing the floorboards down they are much more acceptable - and musical. For Some Time Ago, a waltz by Argentinian composer/pianist Sergio Mihanovich, Barnes switched to clarinet remarking, in the process, of Tony Eales' strange dislike of the instrument. What's not to like? It was quite beautiful! Edis' final chord took everyone, Barnes included, by surprise. Come in Senor Jobim, he's never far away. Corcovado, the mountain in Rio had our duo in bossa nova mode. The final fours or was it eights? saw their lines entwine contrapuntally. Apart from being a superb pianist, Edis is also a composer of merit and the next two compositions were his. Whiskers displayed both of those talents to the full. 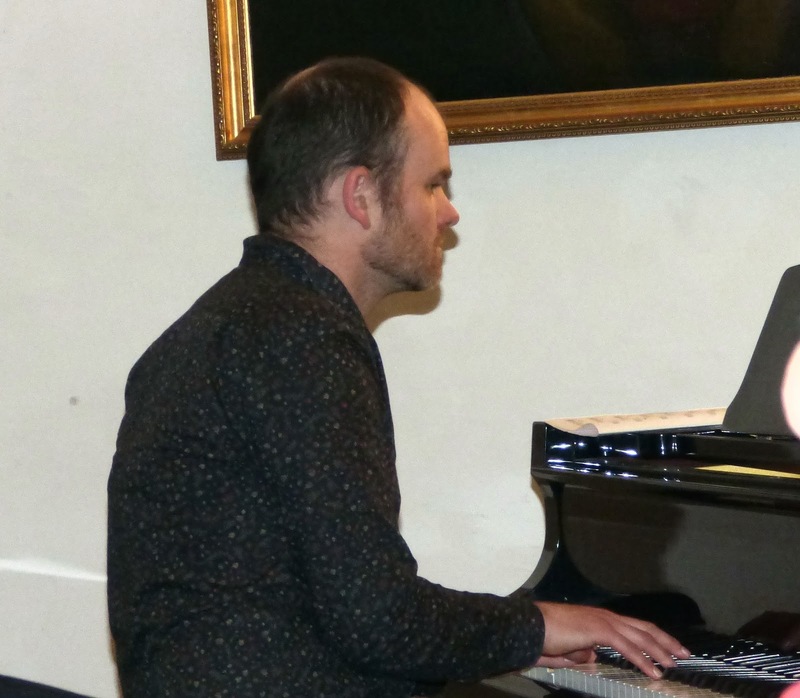 The head had a Monkish feel to it whilst the piano solo broke into a stride chorus. Barnes, needless to say, sight-read the part with ease and there were a few bars that may have saw a lesser player stumble, but not Alan Barnes although he did have to put his specs on. 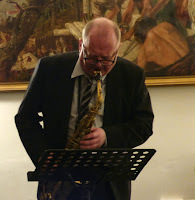 The second piece, Breathless, was a waltz that Paul had adapted from an arrangement for trio and choir, Alan returned to clarinet (with a suitable aside to Tony Eales) for this one. From here on in and on to the finish line, it was all Charlie Parker. Lover Man; Ornithology and Au Privave - and who better to play them? Then it was all over! Could an hour really go by that quickly? The applause for the two players was both deafening and deserving. Come back soon - what am I saying? 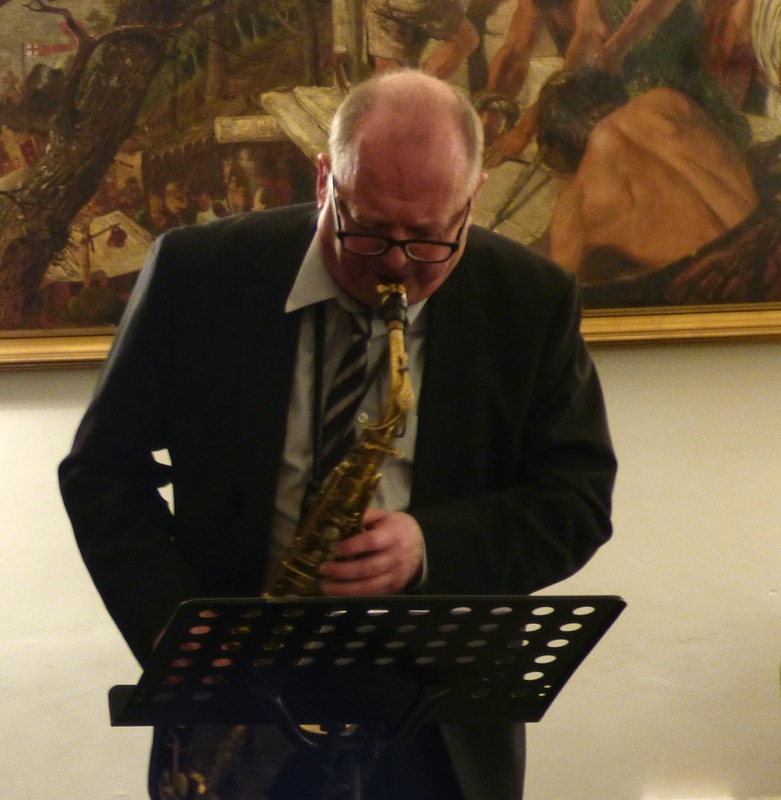 Alan Barnes is with the Durham Alumni Big Band at the Dolphin Centre, Darlington this Saturday (May 5) and with the Paul Edis Trio this Sunday afternoon (May 6) at Bondgate Methodist Church, Darlington - 2pm. Both gigs as part of the Darlington Jazz Festival. The pair are also in church on May 17 at St. James' and St. Basil's in Fenham. 7:30pm. This is also Barnes with the Edis Trio.